You must pack-in a day or two days before the season. 1st season is an easy draw, but you must go through the draw to get a tag. The first season is a great time, with fewer hunters, better weather, and it is likely you will catch the tail end of the rut. In 2013-2018 seasons, the elk were still bugling through 1st season. 4th season bulls tags are by draw but close to 100% of hunters draw without preference points. 2nd and 3rd season are over-the-counter purchased tags. By the 2nd and 3rd rifle season, you need to be prepared for the possibility of heavy snow. 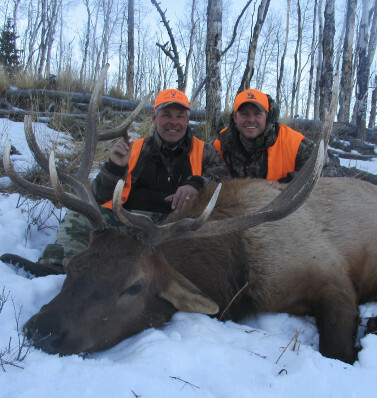 These later seasons can produce massive bulls that are pushed out of high elevations. The biggest variable for hunting quality is weather and snow accumulation. 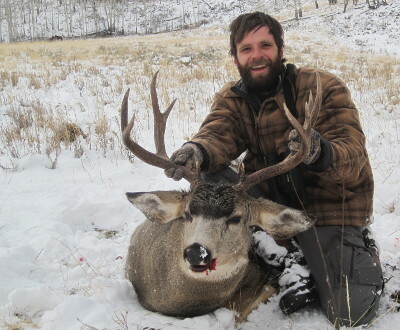 Every year some good high country mule deer bucks are also taken by hunters. You must draw a deer tag for the season you will be hunting if you want that opportunity. We can also focus on mule deer if you choose. Our 3rd and 4th season, base camp hunts are a good option if deer is your focus. 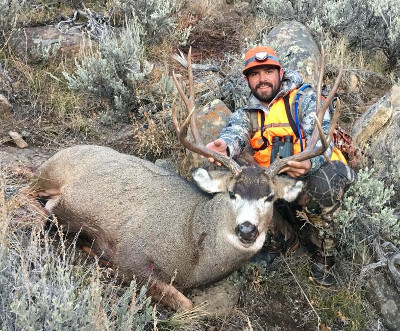 During 4th season, due to the rut, the opportunity to harvest a 4×4 buck is above 90% and more than 50% of hunters will have an opportunity to harvest a 170″+ buck. 3rd season we will be hunting the same quality deer but success is slightly lower due to the rut just starting. It varies year-to-year but residents can draw 3rd season buck tags with no points with nearly 100% chances. Non-residents have a 70-80% chance without points. With just 1 point, you will draw a 3rd season buck tag. 4th season buck tags vary from 3-6 points for non-residents and 1-2 for residents. We primarily hunt from our base camp in the 4th season because of the possibility of dangerous snow fall at our high elevation camps. 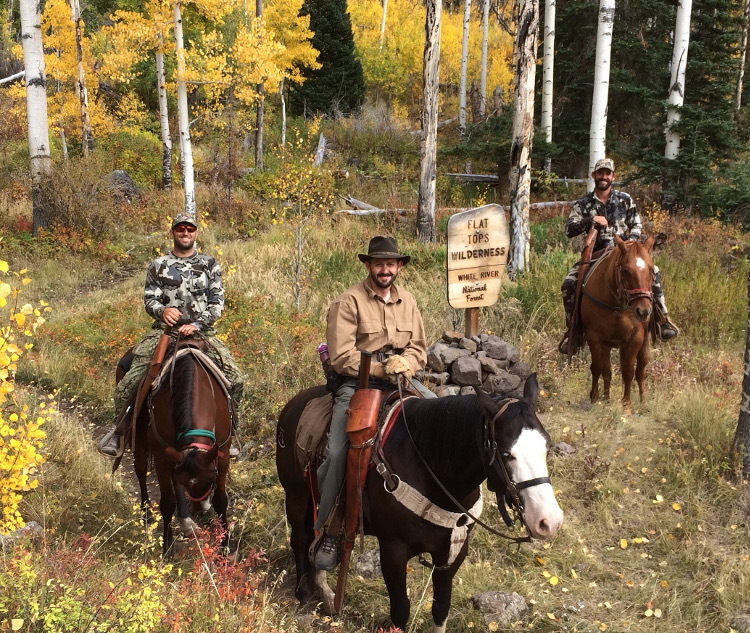 If you are willing to ride a horse every day and enjoy the “lodge” type hunt, our 4th season hunts are the ticket. We offer basic housing in our bunk house or an upgrade into our high-end lodge. 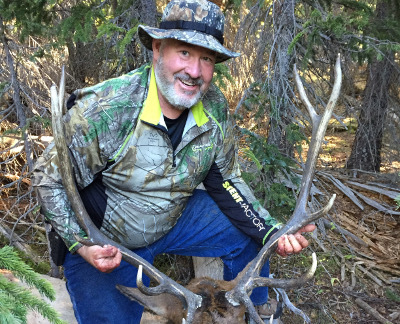 All of these hunts are true wilderness hunts where being in good shape and being able to bare inclement weather will pay off with the hunt of a lifetime. 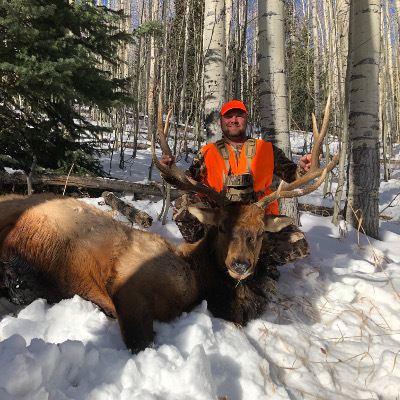 All of our guided rifle elk hunts average 60%+ shot opportunity on legal bulls for those that hunt every morning and afternoon/night of their hunt. 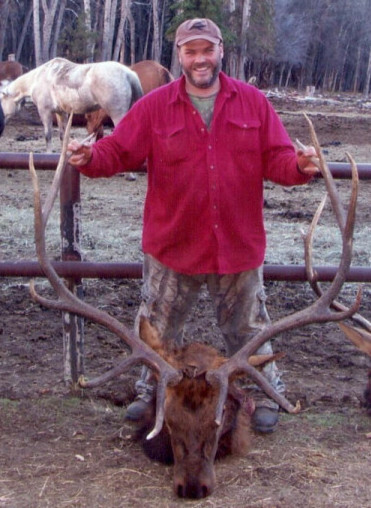 The majority of bulls are medium sized, 4-6 point animals. Roughly 1/10th of our harvested bulls score 300+. During 2nd, 3rd and 4th rifle seasons our guided hunters with deer tags have 70-100% shot opportunity on bucks. 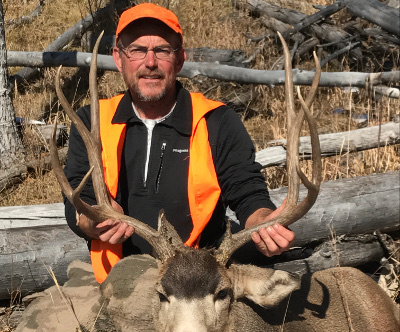 On our multi-species hunts, 2nd-4th rifle, it is not uncommon for hunters in good physical shape with good marksmanship skills to harvest two species. 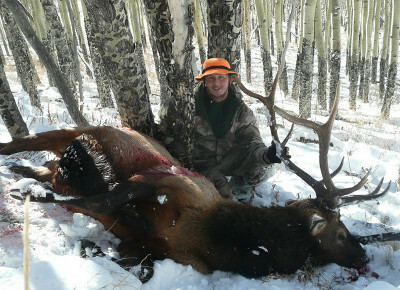 *Drop Camps – We will purchase, organize and pack in your hunt’s entire week of food for $350 per hunter. 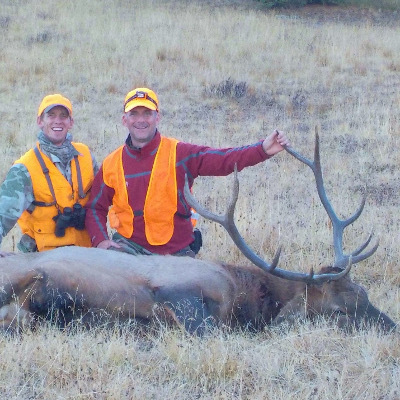 This service simplifies the process for out-of-state hunters. **Discounts available for non-hunters and children under 13. 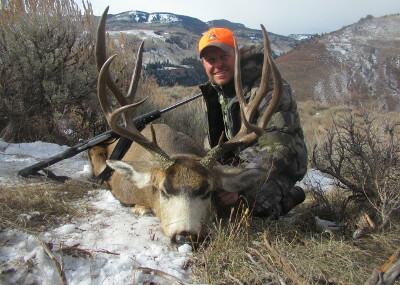 ***Base camp hunts are great for individual hunters or pairs. Must be willing to ride horses each day you want to hunt. Click here to understand the difference between Base Camp and Full Service Guided. ****All above guided pricing is based on one guide per two hunters. For one guide per hunter pricing, add $800 per hunter. 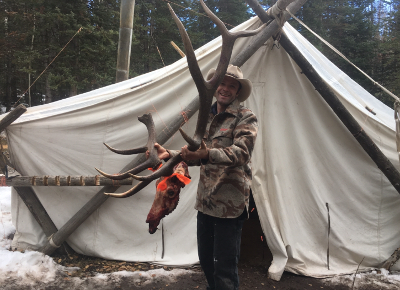 *****Some of our drop camps can have more than 5 hunters in them. For these camps, additional hunters (beyond 5) are $1,700 per hunter. 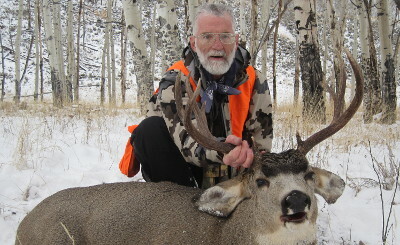 If you are looking for a corporate or group hunt, visit our True Hunts offerings. We offer several options for larger groups. Please reference our resource page for gear lists, descriptions of hunt/service types, and payment details. Archery pack-in and pack-out dates are somewhat flexible because the season is four weeks. The second week of the season and the last week (after muzzleloader is over) are the most popular times for archers. You must to have a patient mindset to hunt the first week of archery season. 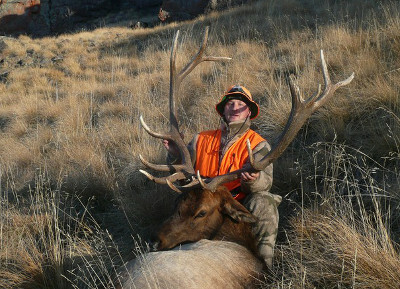 However, some of the biggest bulls are killed in the pre-rut before they have gotten their cows together. Archery season is the best time of the year to be in the Flat Tops. The weather is good and the elk are bugling. It is also the time of year where it isn’t abnormal to go an entire hunt without seeing another hunter. Our unit, 25, is one of the few Flat Top units that still offers OTC archery bull and cow tags. Our shot opportunity rate runs around 20-60% depending on weather/rut and the hunter’s persistence. Guided hunters should expect a physical hunt. We prefer to use a wall tents in combination with overnight backpack setups as spike camps. ***All above guided pricing is based on one guide per two hunters. For one guide per hunter pricing, add $800 per hunter. 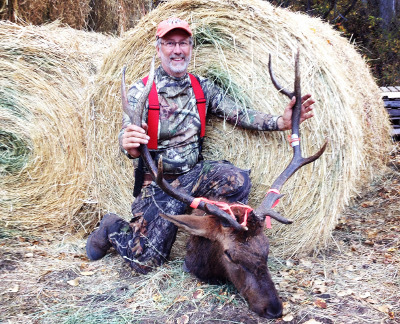 Muzzleloader is, hands down, one of the best times to be hunting elk. 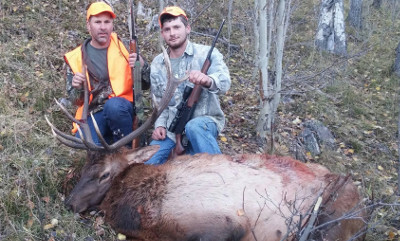 The season starts when the elk rut is getting into full swing. The weather is still comfortable. Tags are by draw only. For non-residents it takes 3-4 preference points, but the hunt is well worth it. Shot opportunity on legal bulls is 40-60%+ based on hunter’s persistence and weather conditions. 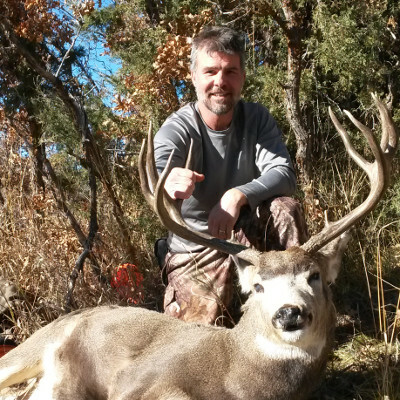 Deer hunting can be exceptional during muzzleloader. 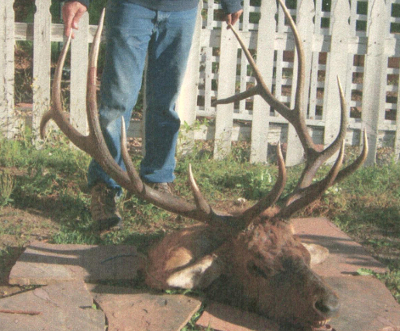 If we have good browse growth in the high basins, you can be successful at finding nice bucks in the open. If the willow growth is minimal, the deer are harder to find in the timber pockets.